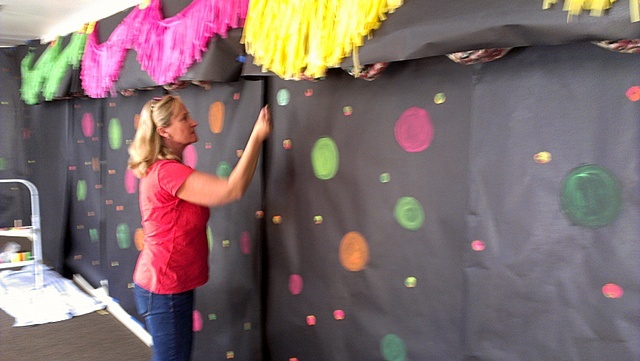 I planned all of the decor and festivities for my daughter's 6th grade class of 100 graduates. The theme was Glow in the Dark so everything had to glow or be neon! 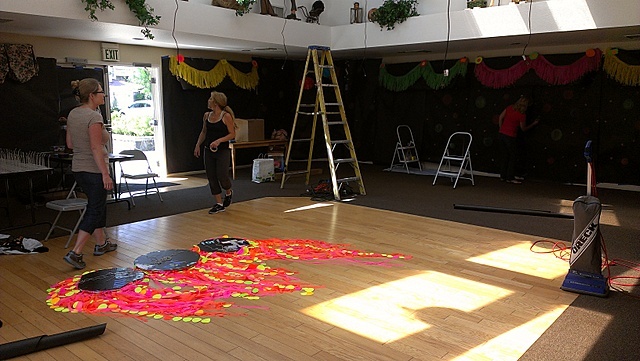 We held it at our local HOA clubhouse and decorated for 7 hours prior to the party! I made "chandeliers" out of cardboard, plastic flagging tape (from the hardware store), neon paper circles that I punched out in different sizes and sewed together on my sewing machine and a hula hoop from the Dollar Tree. I added a push light to the underside to help the colors glow. Total for each chandelier was about $6 and had a huge impact in the room. Isn't party set up glamorous! We lined all of the walls with black craft paper from Office Depot and painted dots on it with glow in the dark neon paint I got on Amazon.com. One crazy dad even climbed on the roof and blacked out the sky lights with the black paper! 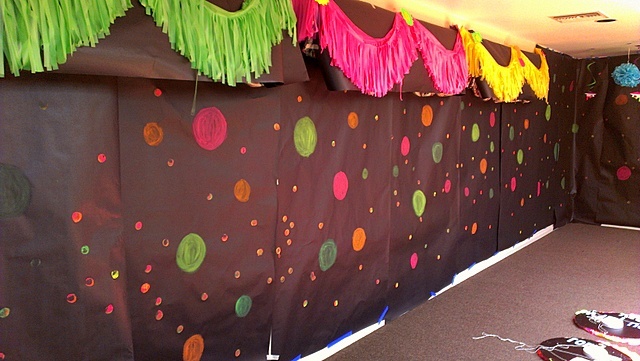 The fringed "curtains" are cut up plastic tablecloths from the Dollar Tree. They added a lot of color interest to the walls. Here are some moms modeling the glow in the dark glasses that were handed out to the kids as favors. A very nice dad hung up about 5 black light bars. I got them at Wal Mart for $10 each. I also made glow stick chandeliers with wire hanging planters turned upside down. I used the same wire planters as bases from the snowman party I hosted in December. They looked great all lit up! On the invitation, I requested that the kids wear neon or white. 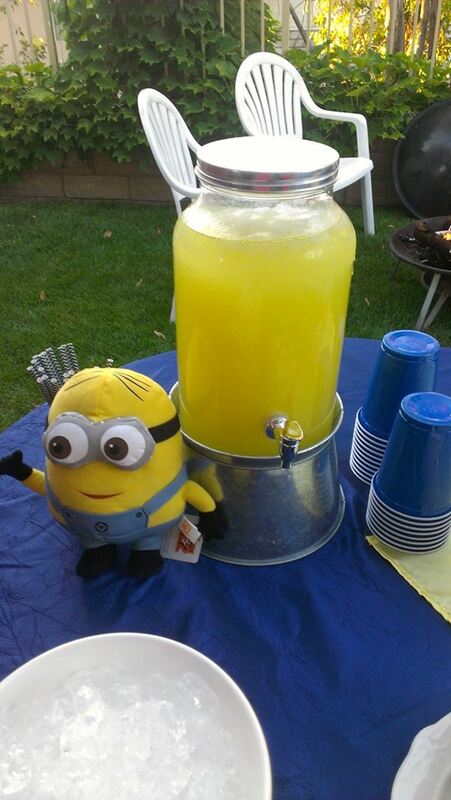 It really added to the whole feel of the party! The kids also received glow in the dark necklaces when they checked in and could go to a green screen photo booth all night and have fun with the props. 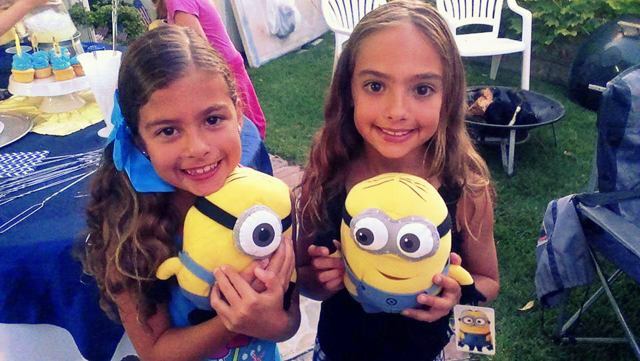 They could each take home a printed photo for a favor as well. Dinner was hot dogs, hamburgers, chips, fruit and soda. I put together a 30 minute video of pictures that parents sent in of the students from kindergarten to 6th grade. The kids really loved it and I made 100 copies so they could take one home for themselves. 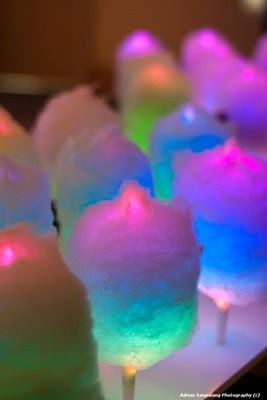 Dessert consisted of cotton candy that I created on these amazing light up sticks. I drove an extra 3 hours round trip to pick them up and they were SO worth it! The kids also had a great time dancing to a DJ all night (another school dad was our awesome DJ) and played plenty of One Direction music! The kids also got to take home a can of silly string and we also had a raffle with giveaways from local merchants for movie tickets, frozen yogurt and mini golf. The kids had a great time and it was a wonderful send off for me since my family spent 11 years at that school and we are now moving on to jr. high! My oldest son graduated from high school this year and had a double career path in business and computers so I wanted to celebrate his accomplishments! It was an Open House dessert party so it was very casual as people stopped by to congratulate him and wish him well. I bought the famous tea cakes from Martino's Bakery in Burbank. When I was little, ALL of my birthday cakes came from Martino's! I also made cake pops and the dessert signs are made from clipboards from the Dollar Tree and I just Mod Podged coordinating paper onto it. These great sparkler candles are from Fancy Flours. For the drinks, I served lemonade and water served in mason jars. Guests were able to write their name on a mini chalkboard label. For the centerpieces, I just covered Matt's beloved Harry Potter books in brown kraft paper and tied with baker's twine. 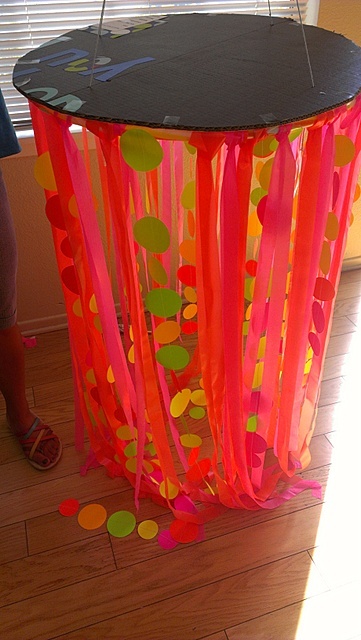 I also made the tassels for the 36" balloons. I had made about a 4' length of tassels but they weighed down the balloon too much! I made a paper lantern chandelier out of different size lanterns and paper poms. 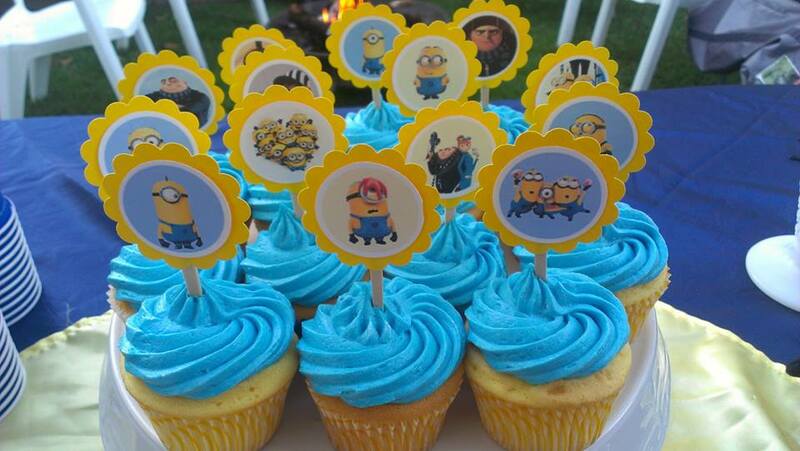 I got all of the great printables from Amanda's Parties To Go. I also used the printables to decorate a card box from Oriental Trading. Matthew and his special guest- Miss Sharie, his preschool teacher! It was nice to celebrate a happy occasion since my mom died on Memorial day after a 4 year battle with ovarian cancer, Matt graduated the next day and then his party was on Saturday. I'm glad I got a lot of the ordering and decor done the week before.